The earliest descriptions of obsessive-compulsive disorder (OCD) were religious, as was the understanding of their origins. With the emancipation, religion in OCD was relegated to its status today: a less common symptom of OCD in most Western societies known as scrupulosity. 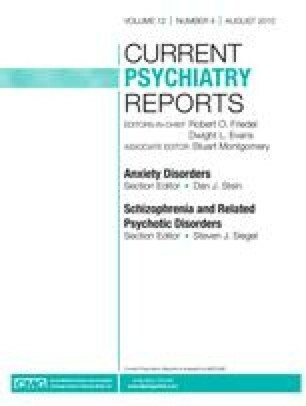 The frequency of scrupulosity in OCD varies in the literature from 0% to 93% of cases, and this variability seems predicated on the importance of religious belief and observance in the community examined. Despite the similarities between religious ritual and compulsions, the evidence to date that religion increases the risk of the development of OCD is scarce. Scrupulosity is presented as a classic version of OCD, with obsessions and compulsions, distress, and diminished functioning similar to those of other forms of OCD. The differentiation between normal religiosity and scrupulosity is presented, and the unique aspects of cognitive-behavioral therapy in treating scrupulosity, especially in religious populations, are reviewed.